The Long-tailed Hawk is one of the raptors with the longest tail, in relation to its body size. The Long-tailed Hawk is a very vocal bird, and is often heard before it is seen! The Long-tailed Hawk is the only member of the genus Urotriorchis. 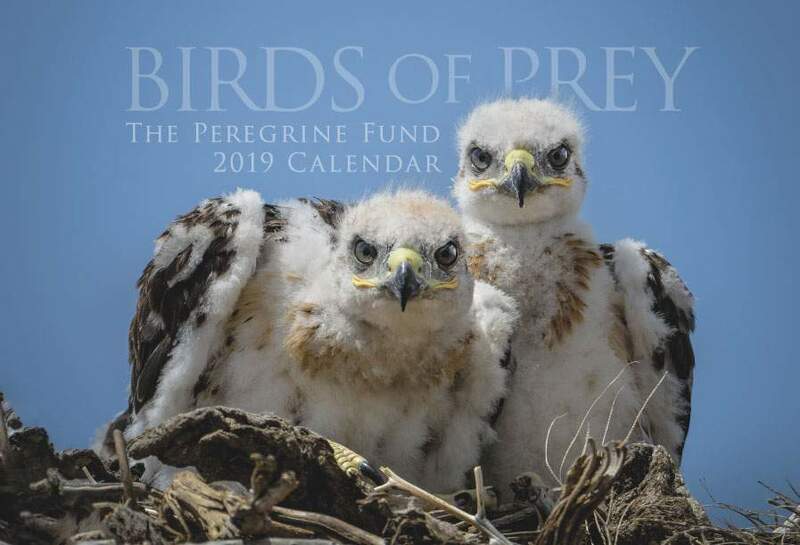 Though The Peregrine Fund doesn't work directly with Long-tailed Hawks, our efforts in scientific research, habitat conservation, education, and community development help conserve raptors on a global scale. We also supply literature to researchers from our avian research library, which helps scientists around the world gather and share important information on raptor conservation. 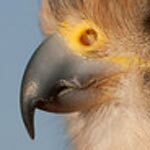 The Long-tailed Hawk lives throughout much of western and Central Africa including in the countries of Angola, Cameroon, Central African Republic, Congo, Gabon, Ghana, Liberia, Nigeria, Sierra Leone, Sudan, Togo, and Uganda, to name just a few. Though the Long-tailed Hawks seems to prefer sepnding time in the canopy and mid-level of undisturbed tropical forest, it is also found in secondary forest and in nearby riparian forest. This species isn't always restricted to forest habitat, however. It can ocassionally be seen flying over open clearings and even, sometimes, near villages. True to its name, the Long-tailed Hawk has a very obvious long, tapering tail which is dark grey with white barring. Overall the Long-tailed Hawk is covered in grey feathers along its head, back and upperparts. Its breast, thighs and belly are a beautiful rusty chestnut color, which contrasts sharply with the the dark back - giving the bird a two-toned appearance. In flight, this species is even more spectacular as the wing barring and white undertail create an even more intricate pattern. It has a white throat, a black beak, and its eyes, cere, lower leggs and feet are yellow. The Long-tailed Hawk is considered to be a secretive species, and therefore very little is known about its behavior. One thing scientists do know is that it is a very vocal raptor. One of its calls is a long, sharp, descending whistle. Thankfully, the Long-tailed Hawk has a very large range and is pretty widespread throughout it. It is believed to be a common species and is classified as "Least Concern" - which means that scientists believe that the population of Long-tailed Hawks is healthy and will likely remain so into the future. That is truly good news! However, scientists still have a lot to learn about this species and it is very likely that, at least in some areas within its range, it is suffering from habitat fragmentation and loss. 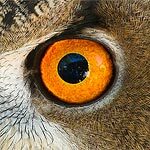 Also, some scientists have shown that humans hunting for bushmeat could affect these raptors as well, either through direct persecution or from the removal of large numbers of its prey species. The Long-tailed Hawk is a skilled mammal hunter - most often taking squirrels, including scaly-tailed squirrels, other rodents and even bats. However, it does also prey on small birds, and has been known to attack domestic poultry in nearby villages. Very little is known about the breeding habits or biology of the Long-tailed Hawk. In fact, only two nests have been described at all! One nest, found in the Ivory Coast, was located 20-25 m high in the mid-upper canopy. The nest was flat and shallow. A second nest, also in the Ivory Coast, was located 35 m high in a Cotton Tree (Ceiba pentandra) and was also quite flat. The World Center for Birds of Prey offers fun ways to learn about raptors. The visitor center offers interactive displays, tours, interesting videos and a children's room with activities from coloring sheets to quizzes to costumes and a touch table for the curious mind. We also have several different birds of prey on display year-around. Knowledgeable staff and volunteers are on hand to answer any questions you may have about Long-tailed Hawk or any other birds of prey.